Four episodes of the classic series here, from the BBC2 reruns. First it’s Mudd’s Women, the first encounter with scoundrel and con-man Harry Mudd. 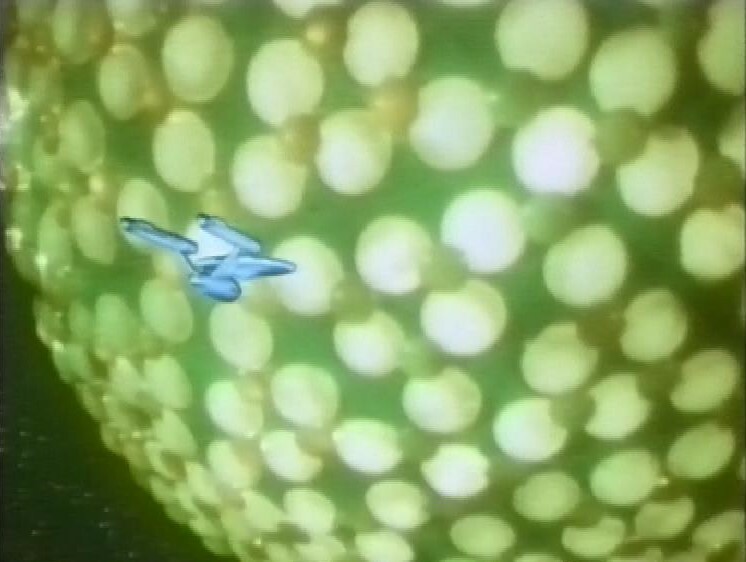 The Enterprise spots his ship as it gets into trouble in an asteroid field, and while rescuing Mudd and his crew, the ship damages all of its Lithium Crystals, this being before they upgraded to Dilithium. Mudd doesn’t have a crew, though, he is ferrying three women to somewhere where they can find husbands. They’re like Mail Order brides or something. They come from a planet with no available mates, apparently. 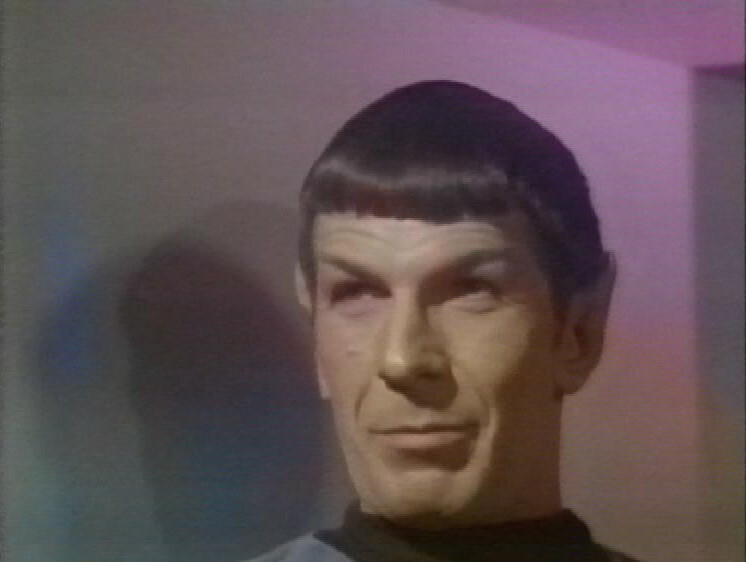 Plus, we learn, they are also using a ‘venus’ drug to enhance their attractiveness, which means, in Star Trek world, that when they take the drug they suddenly acquire heavy eye makeup and a soft focus filter. I love the look on Spock’s face as he introduces the women to Kirk. You tell me he’s not tickled pink to watch the reaction. Because of the damaged crystals, the Enterprise has to travel to a mining colony, a planet apparently run by three men, who are naturally in the market for wives. They are also all old and bald, but I suppose it would spoil the story somewhat if they were young and handsome. It’s all a bit creepy, and the tacit acceptance that a woman’s only option is marriage seems very out of step with the rest of the programme’s view of the egalitarian nature of the federation. In the end, Kirk gives one of the women a placebo, but she still suddenly goes all soft focus, taut skin and eyeshadow. That’s one heck of a placebo. Maybe that felt like a feminist ending at the time. Before the next episode, there’s the end of a service of thanksgiving for the 50th anniversary of the Battle of El Alamein. There’s a trailer for programmes on Thursday. Then we have Miri, an episode that was banned by the BBC for a couple of decades. The Enterprise discovers a planet that looks surprisingly like Earth, and when they beam down, it looks surprisingly like the studio backlot. There they discover a deserted town, and they are attacked by a zombie-like creature. Then they find a young girl, Miri, who gives them some background on the planet. Yes, after Mad Max yesterday, it’s another post-apocalyptic wasteland populated by children. The adult population were wiped out by some kind of virus, caused when they tried to develop a cure for aging. Only the children survived, but they also now age at a much reduced rate, so they are all hundreds of years old. But of course, because they are stupid children, they are all still exactly as they would have been as children. They even have one of my least favourite SF tropes, artificial slang. They refer to Grups, which means Grown-ups. One of the kids also seems to be played by a 37 year old man. (I was close – Michael J Pollard, for it is he, was 27 when this episode aired). The Enterprise crew aren’t immune to the virus, and start developing skin lesions, and they only have a limited time for McCoy to develop a cure. 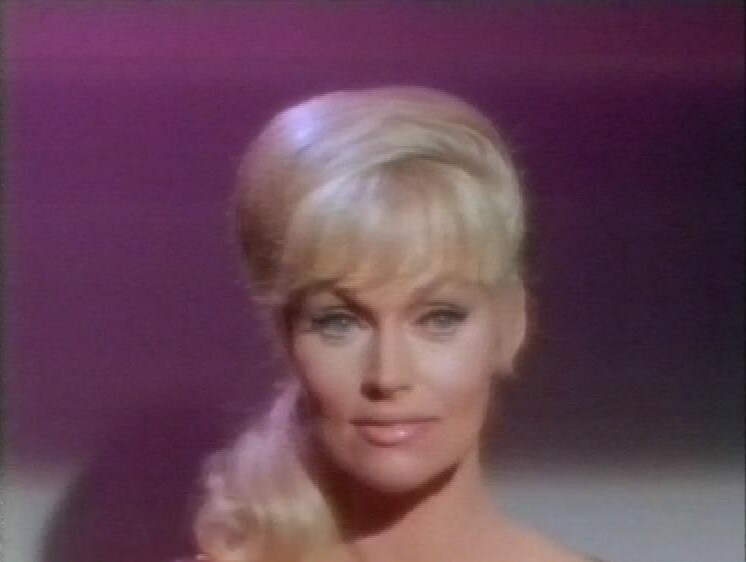 There’s a really creepy scene where Yeoman Rand shows Kirk her lesions. “On the ship, I always wanted you to look at my legs” she says. Legs which now, of course, have the lesions. How poignant. 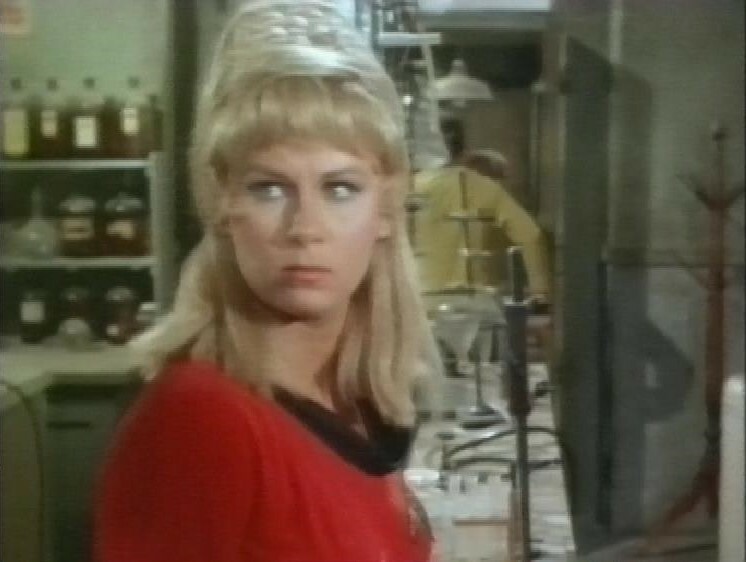 By the way, doesn’t Grace Lee Whitney have a very similar face to Chloe off of 24? The reason this was witheld from broadcast until the 90s was the subplot of Miri, although she was hundreds of years old, was only just ‘becoming a woman’ and falling in love with Kirk. It skirts a line, but doesn’t really cross it. 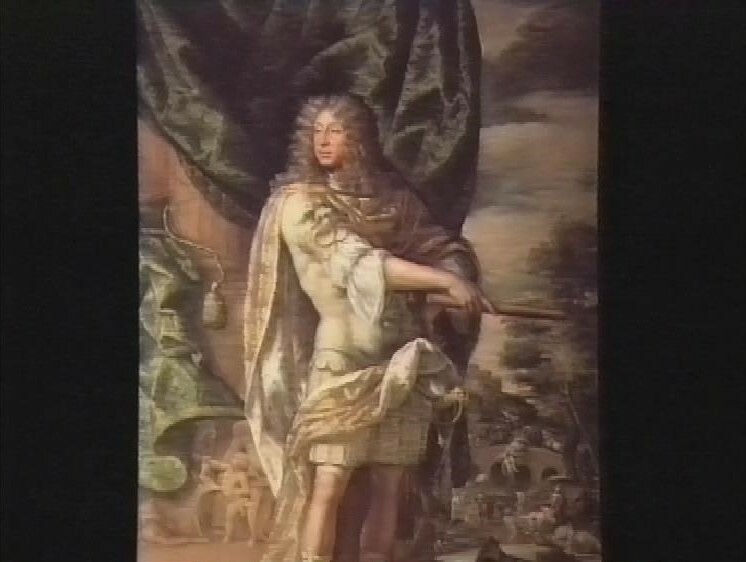 There’s some snooker before the next episode, then a short programme The Swagger Portrait about society portraiture. Three of the Chippendales discuss this portrait. It’s as enlightening as you’d imagine. Then, more Star Trek and Dagger of the Mind. I love clearly labelled freight. 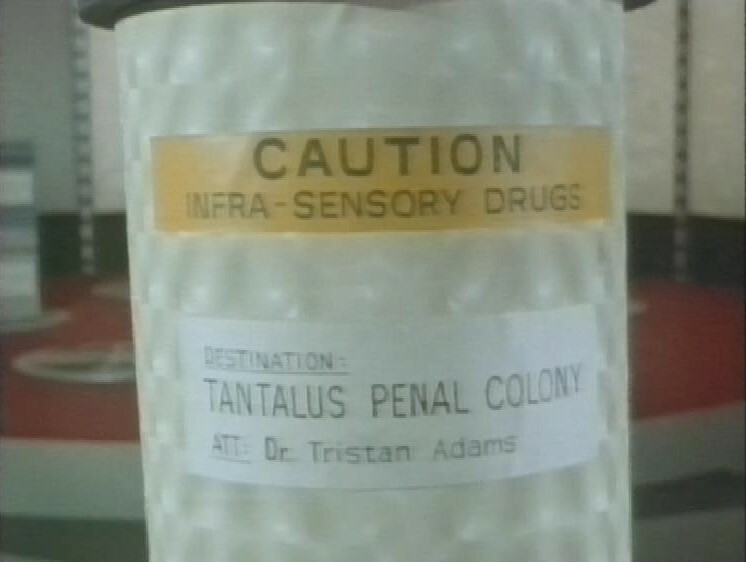 This episode concerns a penal colony where they have supposedly developed a mind altering technique to rehabilitate habitual criminals, but of course it’s not as benign as it seems, and the head of the colony is a bit crazed. And once on the planet, they get into a lift, which descends so quickly they are forced to huddle together for protection. Any lift whose normal operation has that effect on people needs a good seeing to. It’s a bit of a ho-hum episode, really. Before the next episode, there’s the end of See Hear! And a trail for The Travel Show Guides. There’s also a trailer for The Secret Agent featuring, among others, Peter Capaldi and David Suchet. Then, another episode of Star Trek. This one’s a bit more of a classic. It’s The Corbomite Maneuver. Kirk is pushing the crew to get 100% on their efficiency tests, and the ship encounters an incredibly powerful alien ship. 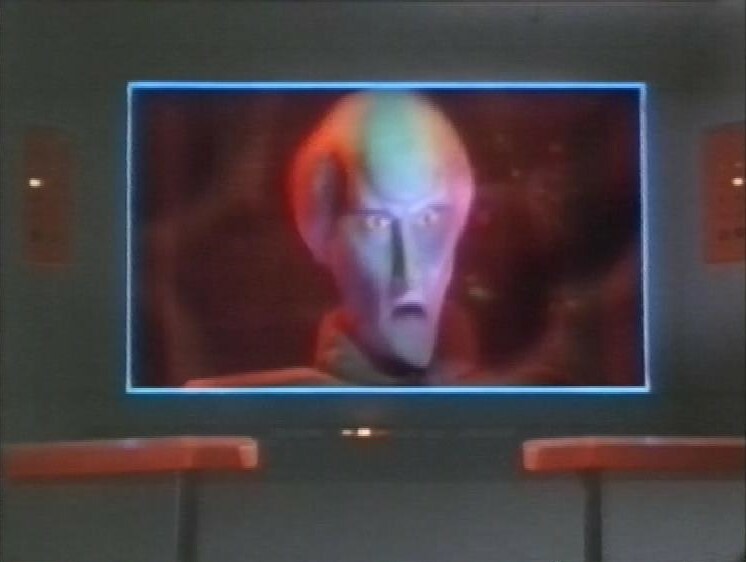 It threatens the Enterprise with destruction, and the image they get of the ship’s captain is familiar to every Star Trek viewer. But Kirk is a betting man, and he tells the captain of the alien ship that the Enterprise is equipped with a Corbomite device which will destroy his ship as well as the Enterprise if they are attacked. The alien falls for his bluff, and after a bit of a chase, appears to lose power, so Kirk takes a landing party on board to meet the true face of Balok. That’s Clint Howard there, brother of Happy Days star (and director of my favourite movie, Apollo 13) Ron Howard. He was merely testing the Enterprise to see what kind of people they really were, and now wants to be friends. It’s not an Earth-shattering story, but it does have some nice dynamics among the bridge crew, and is more of a slice of life episode. After this, there’s a trailer for Vault of Horror. 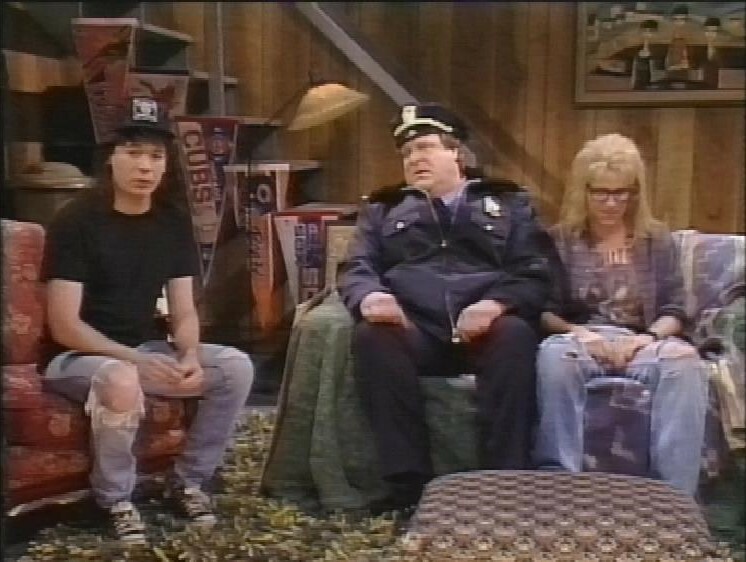 Then, recording continues with an ‘episode’ of Wayne’s World – really just a single sketch from Saturday Night Live. 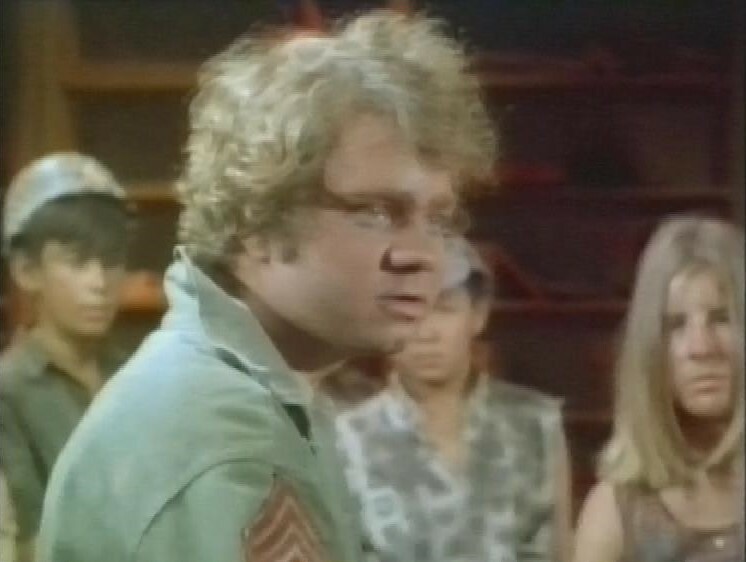 This one guest stars John Goodman (a repeat appearance from yesterday). After this, there’s the start of The Rough Guide to Careers. The tape ends during this programme. I remember these airings like the back of my hand – original ST, followed by Def II. Wayne’s World usually kicked things off on Wednesdays IIRC, followed by The Rough Guide to Careers, or similar. Sometimes Rapido would make an appearance – did Antoine des Caunes become famous through this programme? – or an investigative report programme called Reportage. Wayne’s World was always a bit of a mystery to me, not because I didn’t get the humour – it was mostly pretty funny, as I recall – but because I didn’t get the format. I had never seen Saturday Night Live, and had no idea it was extracted from another show. Though it was obviously a set-up, it had no end credits, and therefore clearly wasn’t a normal TV show – so what was it? Not knowing its provenance, I was regularly astounded by how they managed to get such massive superstars on in guest spots. John Goodman’s turn here was pretty funny as I recall, but they also had Madonna on one week. Flip – the URL didn’t kick in at the exact spot. Scroll to 6:47 or so on the above clip. The episode of Star Trek: Discovery with Harry Mudd taking over the ship was probably the best of the run, a nice tribute to that roguish character. 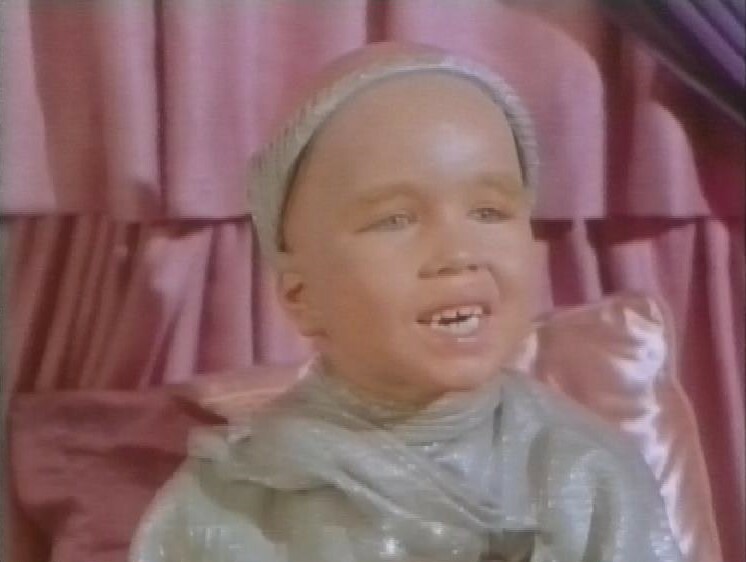 Also nice to see Clint Howard was back too, playing a different (green) alien, though.